WooCommerce 2.0 comes with prettyPhoto, a Lightbox implementation, bundled as part of the core. 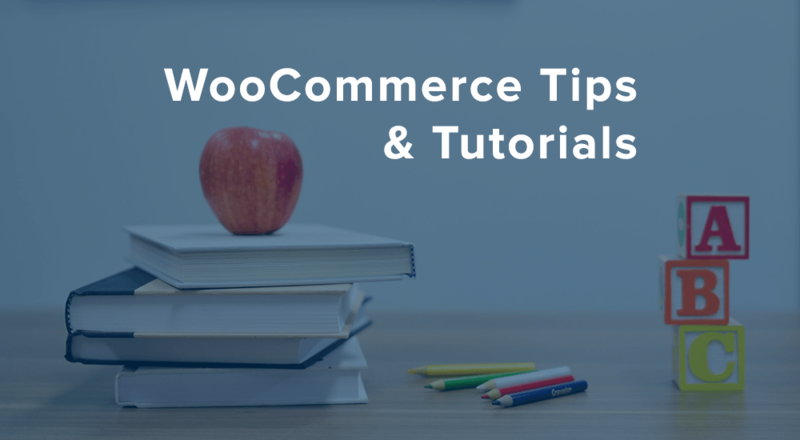 It’s used on the product pages to display the image gallery pictures, and a common question is “How do I use WooCommerce’s lightbox to do X”. This article will walk you through how to do just that. This can be added to your theme’s functions.php in the usual manner (theme-name/functions.php), or perhaps to your custom site plugin. Note that this will have the effect of loading the lightbox script/style on every page of your site; if you want to limit it to certain pages/sections you can make use of the wide array of conditional tags available. New and Improved WooCommerce Braintree Payment Gateway! I was pleased that I found this post but alas prettyPhoto doesn’t appear to work on my test site. For my initial tests however, I’ve used the code for an image (lightbox) as shown in your examples. Both the thumbnail image – and when thumbnail is clicked, the ‘lightbox’ image appears but opens in a full browser window – not within the light box. The prettyPhoto script is included on this WooCommerce page (jquery.prettyPhoto.js?ver=3.1.4), the WC is version 2.0.10, WC setting ‘Enable Lightbox’ is checked and ‘rel=”prettyPhoto” is included in the url. Thank you for this. Saved a lot of time. You forgot to mentioned the rel=”prettyPhoto[gallery]” which adds navigation between related images. Saw that in your code. Yeah, the rel=”prettyPhoto[gallery]” is really only necessary if you want to have more than one independent slideshow on the same page, as opposed to having all the images be in a single slideshow. I didn’t mention that part just to keep the article more simple, and since that part is explained in the prettyPhoto docs as well. Good catch though! Since I’m adding images through the products gallery in WooCommerce, how can I add this rel tag in the code? There’s no field in the image editor to add anything like this, that I can find, and I want navigation or scrolling between the product images. Each image seems to be placed individually, instead of as a gallery, and I’m quite frustrated trying to figure this out, without purchasing yet another expensive add on. Any help would be appreciated, thank you! Hi there! If you’re talking about a product page, then the lightbox will already be enabled for these images and users can scroll through all product images in the lightbox by clicking the left/right arrows once they’ve clicked on one. This tutorial will let you use that lightbox in the same way on other pages or posts. Hi! I am working on the lightbox as we speak. And I realise that it is not responsive like many other lightbox plugin. Could you guide me to where should I replace the current woocommerce lightbox with third party responsive lightbox out there? I really don’t wanna mess up the codes but will there be an update in the next version that responsive lightbox to be included? I’m programming a payment gateway for Woocommerce and I need show a iframe using lightbox, I read you post but it doesn’t work for me. The libraries (of above) are shown correctly when I see the HTML source but when I click in the image, this open in other tab, doesn’t use lightbox. I have a test website, the only plugin installed is Woocommerce 2.x, I have used rel=”prettyPhoto[iframes]” and too rel=”prettyPhoto” (with a image), but neither work. Note1: My option lightbox in the admin panel is enabled. Note2: The payment gateway is PagoEfectivo. Been reading your blog with great interest and loving your plugins. I have a website that uses stock management from our dropshipper. The file we get from the dropshipper is a csv stock file and contains the SKU number and a simpel Y or N to let us know if the product is in stock. So we run a cronjob where the sku number gets compared to the products and then shows if the product is in stock or not. But we run into the problem that Woocommerce only accepts the strings “instock” or “outofstock”. Any idea how i can change that? By chance, did you ever find a solution for displaying the iframe in the woo lightbox? Some how I think I need to get the href to point to the image gallery of the product, but I’m new to WC and not really sure how to move forward? Any suggestions would be appreciated. Thanks! Hey Chrissy, well the difficulty here is that the lightbox is really meant for displaying images which are already included on the page, as they are on an individual product page. The gallery photos for every product will *not* be included on the catalog page however, so this would require a bit more customization than I’m really able to provide here. Have you considered posting a job on codeable.io ? Doesnt work for me… and looking at the headers of pages I’d like this to work on, it looks like the JS isnt being loaded after all, so some test is failing. Would be a great time for PHP to have a step debugger… anyway any thoughts on what would block your code from inserting the JS and CSS statements as planned? hmm, well the approach I would take would be to add some debug statements within the frontend_scripts_include_lightbox() function, to make sure first that the function is being called, and secondly to print out the value of the scripts that we’re trying to enqueue, ie: error_log($woocommerce->plugin_url() . '/assets/js/prettyPhoto/jquery.prettyPhoto' . $suffix . '.js'); and make sure you can request that script from your browser. The only other thing is that these rely on jquery, so if that hasn’t been enqueued then they won’t be included on the page, so you could verify that the main jquery script is being included on the page, and enqueue it as well if not. My next task is to make it so that all photo galleries have this same functionality using the functions.php, but I am struggling to get this to work. On my site the lightbox opens in two steps. First it shows the first enlargement. By clicking on the icon in the upper left corner, the image enlarges a second time. I would prefer that the image has just one enhancement, and preferably the largest one. And than in just one step. Hmmmm. Not a programmer really… Is there any custom CSS for this? Thanks for your great work and help. I am very new to WP and Woo Commerce. I kept single product image of large size and other 2, thumbnail and catalog images small in product settings. Struggling to have light-box on product page for product image sourced by featured image. As I have only one image, and I did set it as featured image, I can’t use only gallery as it’s displaying blank image on product catalogue and product page. As I configured featured image in bigger size then gallery image. If I add gallery images, then it get’s displayed in small size below featured image and Lightbox works well if I click on Gallery images, but lightbox doesn’t appear when I click on product image, which is sourced from featured image. How do I make it work? I would be very thankful for you help ! This was a perfect and easy solution to open an image from my product page. Thanks!! Now, has anyone managed to open a site, in a lightbox, via iframe or other method? I have a map search hosted elsewhere that I would like to appear in a lightbox on the product page, much like the photo does.